Lean Tip #1036 – Leaders Can Enable By Committing Resources and Removing Roadblocks. Enable people to move forward in their work by committing appropriate resources, removing obstacles, helping them work across boundaries, and aligning processes, structure, and systems. Lean Tip #1037 - Help Employees Engage Others. Encourage those you work with to reach out and engage others with similar goals. Remind them that goals can be created independently, but achieving them almost always requires help and support from others. 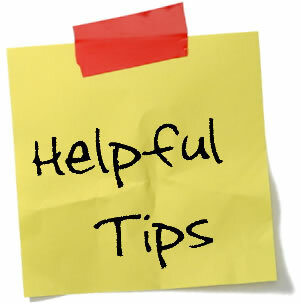 Lean Tip #1038 – Teach People How to Manage Time and Energy Wisely. Coach employees to fully engage in the task at hand, focus on the important rather than the urgent, avoid distractions, and create balance and renewal in the achievement of the goal. Help them learn to say no to urgent requests or terrific ideas that aren’t aligned with the important work of the team. Lean Tip #1039 - Identify Specific Motivators and Adjust Accordingly. Discuss with employees their extrinsic motivators, and identify opportunities and implications to bolster the achieving cycle. If they are motivated by recognition, identify ways to give meaningful praise, show approval for their work and team behaviors, or commend them for achievements along the way. Find ways to acknowledge them in front of their peers and express appreciation. If they are motivated by rewards, identify both economic and noneconomic rewards that you can give as a consequence of achievement. Engagement for the sake of engagement is just that. Happy employees are good, but happy employees that contribute to the business by performing in exceptional ways are better. It’s also critical to remind employees and management that engagement is a two way street – the company will do great things for employees and employees will do great things for the company. Very few companies get this right, but those that do create a virtuous cycle of employee engagement where the company does more for its people and the people do more for the company which in turn causes the company to do even more for its people. The prevailing communication system in most organizations is infrequent and one way in nature. In other words, people don't get a lot of information or feedback about how they are doing or how the organization is performing, and when they do, this information is more often than not negative. The net results of this cultural commonality is that most employees see the existing meetings, newsletters, and bulletin board postings as a waste of time, whether you are aware of this or not. I've even seen organizations do more damage than good in their attempts to keep people informed because of the type of information that was shared (and not shared) and how they chose to share it. Coordinate the different group events that you have, measure event effectiveness, and take action to make improvements where they are needed. Some organizations don't measure and trend internal customer satisfaction at all, and those that do tend to do it only once a year at best. The high performance organizations however regularly trend and review their performance in the areas of employee retention, complaint levels, and internal satisfaction (perception survey) scores. If you want to change your existing work culture, you have to assess the degree to which your people feel that the existing work systems are supporting such a change, and you also need a gauge of where your work culture currently is - what your people think and believe about the organization. Review these measures monthly, identify system changes (such as those mentioned in this list) to affect those scores, and take action to put the highest priority system changes in place. Also, don't forget to identify and remedy the sources of internal customer dissatisfaction. Each day, your existing culture is either moving closer to, or further away from, the type of culture that you want it to be. Cultures are a system in themselves - they have momentum, and they are either spinning in a negative or positive direction. Desired, or undesired, behaviors and work practices are being reinforced on a daily basis by the work systems you have in place right now. Until you recognize this, you won't be motivated to identify and change those systems that are reinforcing those things that you don't really want to reinforce. Lean Tip #1044 - Create a Safe Learning Environment. It's the trainer's responsibility to create a non-threatening environment for learning. The most effective way to achieve that is to establish a relationship with the trainee. People skills are vital to establishing a relaxed and friendly learning environment. Take the time to engage in conversation with the newcomer, asking about his/her family, hobbies and interests, and don't forget to share your own. Professional business settings are comprised of human beings, so act like one...and treat the newly hired person as you would like to be treated. Praise and positive feedback reinforce and affirm the efforts of everyone. Expect and provide positive interactions and feedback. There are no training shortcuts, therefore, allow time and repetition to bring the results everyone wants. Avoid the temptation to dictate and micro-manage the learning timeframe. Setting and expressing unreasonable timeframe goals are among the biggest roadblocks to the new hire success. Accountability is fundamental to effective management, but it’s impossible to achieve it without tracking each department and individual progress against very specific, measurable goals and objectives. Every element of your business should be measured – marketing, support, operations, sales, finance, engineering, employee performance, and so on. You first need to determine the right metrics and then make sure you have all the tools you need for measurement. Many organizations set targets without any thought to current performance, process stability or process capability. Industry benchmarks are helpful, but before applying these benchmarks to an organization, the team should analyze current performance to ensure that unrealistic targets are not set. Unrealistic targets create resistance within an organization and impact team and people performance. In some cases, they also lead to data manipulation or incorrect reporting. Before setting any targets, the metrics team should ensure that processes are stable and that process capability can be measured in a reliable manner. Process capability should be measured from the customer's perspective. If teams do not consult the customers, they may find that clients are still unhappy even when targets are consistently met. Involving customers at each stage of target setting helps teams set realistic and achievable targets that will meet customer's expectations. Many organizations generate a lot of metrics and reports that nobody uses. Sometimes, it is even difficult to track who is actually the owner for what is being reported. All reported metrics should be critical to the business, not simply ones suggested by best practices or textbooks. Efforts should be made to identify a small and balanced set of metrics that meets the organization's needs, and are cost effective to maintain and run. All existing metrics should be assessed with key stakeholders to understand the relevance and importance of each. Redundant metrics should be discarded. Business leaders don’t always recognize how closely employees will follow their example. But if you want your workers to take goal-setting seriously, you should be prepared to share your own goals – as well as how you came out on delivering on them at the end of the quarter. Such transparency shows your team that you are in the trenches with them, making every effort to achieve what you set out to do – even if your targets were off. Keep in mind that you will need to reevaluate and adjust your metrics as your business priorities change. Every week, month, and quarter is a new opportunity to test and refine your ability to set and track metrics that will drive growth. When you invest time and thought into setting, monitoring, sharing, and refining your metrics, you’ll be amazed at how much more in tune you are to the state of your business, and how much more easily you can make the critical decisions that can catapult your business’ success.